Here at F&S E-Cig, we are proud to be UK supplier of FlavourArt concentrates. 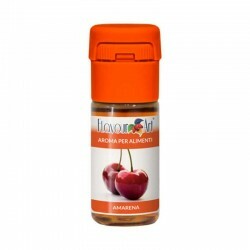 This Italian brand of concentrated flavour mixes works wonderfully with our range of pre-mixed e-liquid bases to create one of a kind bespoke blends for your vaping device of choice. Very popular among the DIY vaping community, FlavourArt concentrates are also much in demand from commercial producers, who use them in their own ranges of juices. The powerful and distinct flavours on offer mean that relatively weak solution of 2-3% in your base is enough to create a unique and characterful e-liquid just for you. The FlavourArt range of e-liquid concentrates is impressive by anybody’s standards. Boasting over 200 unique and distinctive flavours, the number of potential combinations is virtually limitless. Here at F&S E-Cig we have hand-picked a selection of their more popular offerings to make them available to our customers. These flavours include a variety of fruits and spices from strawberries and vanilla to passion fruit and anise. In addition, the range also includes more subtle, confectionery flavours, including caramel, meringue, and marshmallow. With such a collection of flavours on offer, you’ll be whipping up your own e-liquid recipes in no time. Create a Toffee Apple vape juice with apple and caramel concentrates, or why not attempt an ambitious Lemon Meringue Pie with meringue, Sicilian lemon, and fresh cream flavours? FlavourArt concentrates are a high-quality, flavour-intense product that blend beautifully with an equally high-quality base. Our own range of bases are ideal for this purpose, and allow for even more customisation as you can tailor your PG/VG ratio and your nicotine strength to create something that hits all your buttons in terms of flavour, smoothness, and potency. All FlavourArt products are available to purchase directly from our online store, and can also be ordered in any of F&S Central London-based shops, where the staff will be only too happy to assist you in making the right choice for the effect you are trying to create.